The ranking results are finally in and another yuri manga series is now sure to be getting an anime adaptation! Previously, there was a poll asking which manga series that you want animated next. 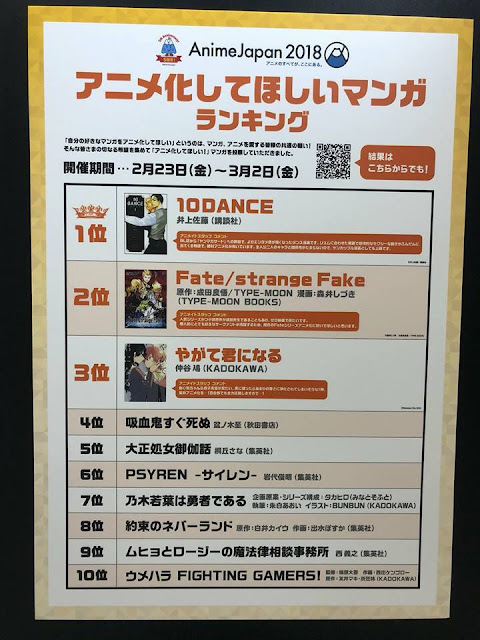 Now the rankings were finally revealed during the AnimeJapan weekend and Nio Nakatani’s Yagate Kimi ni Naru ranked at number 3 which means than upcoming anime project might be in the works. Yagate Kimi ni Naru or Bloom Into You was first published in April 2015 in Japan and still ongoing. It is now being published in English by Seven Seas Entertainment. Previous BOMTOON Officially Opens Webtoon Competition for GL and BL Genres! Next Yuri/GL Philippines Celebrates First Year Anniversary!